Confidence: Help for people in a hurry! Do you want some INSTANT HELP to create a sense of inner confidence? This SHORT self-help hypnotherapy recording for adults and teenagers contains powerful suggestions for respecting and believing in yourself. It helps you to reawaken any stored, sometimes forgotten, inner resources, "˜imaginatively borrow' confident feelings from an admired person and intensify a more positive response in you. Within a Gentle & relaxing framework you are helped to set up a trigger for a surge of instant confidence when you need it most. It also helps build a powerful, lasting inner confident response when used regularly. Play the recording at a quiet time where you won't be disturbed and never listen while driving or when you need to concentrate on something else. Simply relax and focus on the VOICE to derive full benefit FROM THE hypnotic recording. Lynda's gentle, well-modulated, English voice calms, re-assures and encourages you. For maximum benefit, listen daily for about three weeks. Once you have noticed the changes in you, use it every so often to support and maintain the changes. 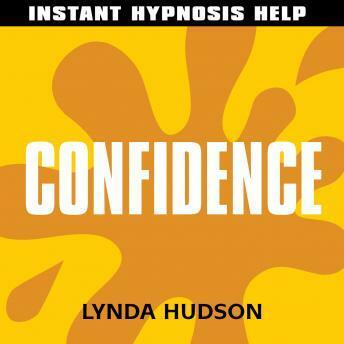 This approach is completely natural and drug free and is based on sound hypnotherapy principles.. As a former teacher and Clinical Hypnotherapist of many years standing, Lynda has helped thousands of adults and children worldwide through her CDs and downloads. Her work has been featured in the press, TV and radio and she is the author of two widely acclaimed books on the use of hypnotherapy with adults and children.